Internationally renowned infant swimming expert, Mr Terje Stakset, talks to Marjan Moosavi founder of South West London’s Blue Wave Swim School about the soaring popularity of baby and toddler swimming. Terje manages the Oslo branch of Norwegian Lifesaving Society and has been teaching swimming for more than 35 years. 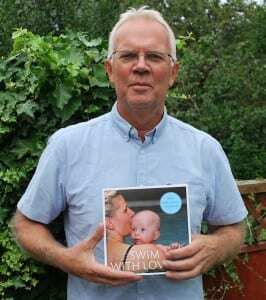 He has been teaching swimming to babies and toddlers (0-5 year olds) since 1989 and from 1998 he has been involved in the design and delivery of the Norwegian Lifesaving Society’s ‘Parent & Child’ teacher training programme. 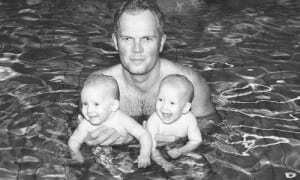 He received the Virginia Hunt Newman award in 2006 for his contribution towards teaching infants and young children to swim. He was selected ‘for his commitment and being a wonderful example of Virginia Newman’s gentle methods of teaching babies to swim, giving voice to those not yet able to speak for themselves.’ Terje has also delivered lectures and workshops at reputable international swimming conferences as well as producing DVDs and written a book (Swim with Love) which is also available in English. 1) Why is baby swimming so important? We know that the first three years of human life is the most important period of life especially in regards to physical and emotional developments. Providing babies and parents with an opportunity to be together and try to re-create the womb environment by being in clean and warm water, could bring a special sense of security and happiness to babies. Plus, scientifically it has been proven that swimming at a young age can help the overall growth of children. 2) Apart from providing ‘quality fun time’, do you think infant and toddler swimming lessons could actually help a child with becoming a confident swimmer? Why? I think the whole ethos of providing swimming lessons for infants and toddlers should be around instilling a love of water. Through ‘Parent & Child’ classes, young children could learn to love the water and, this is the foundation of learning to swim. It is also an excellent way to ease children to a path of formally learning to swim by a teacher later on. I think the aim for swimming lessons for infants and toddlers should be to produce people who would enjoy being in and around water for a lifetime. An early start in swimming is not about producing Olympic swimmer. It’s about giving every child an opportunity to learn how to enjoy being in water for the rest of his/her life. In fact, most senior citizens who enjoy a daily swim, learnt how to enjoy being in water as young children. Everybody needs to learn to love the water first before they can learn how to swim and for this reason ‘Parent & Child’ swimming lessons must be considered to be part of any comprehensive learn-to-swim programme. “Parent & Child” swimming programmes should be structured with experienced teachers and delivered correctly. Then these early teaching best practices can feed through seamlessly to the more advanced stages of learning to swim and stroke development. 3) With so many activities widely available these days for babies and toddlers, parents often ask whether there are any clear advantages of swimming compared to other activities. What do you think? A child who has attended swimming lessons as a baby or toddler would learn to have a trusting relationship with water. Building water confidence and teaching the fundamentals of swimming like floatation on a child’s back and front, breath control and kicking are the core of infant and toddler swimming. Kids start to swim independently (by swimming I mean travelling in the water in any form) when they are ready which is normally around the age of three. Between three and four years of age, children can start learning proper techniques. Through early-years swimming lessons, parents could give their children a head start compared to children who start formal swimming lessons straight away around aged four. When it comes to technique, a water-confident four year old who knows the basics like how to float, kick and blow bubbles has a clear advantage over a similar age child who hasn’t done anything and needs to learn everything from the scratch. Therefore, children who have started swimming as babies generally progress much faster during the stroke development stages of swimming. This is due to the fact that foundation has been laid firmly before the age that learning competitive strokes starts. 4) Should the objective of ‘Parent & Child’ swimming classes be to provide fun water-based activity for parents and kids to have ‘quality time’ together or do you think these classes should focus on teaching basic swimming skills? We should aim to reach a happy medium. I think for babies, the classes should focus on providing a fun and happy time in the water with their parents and to instill a love of water through play. 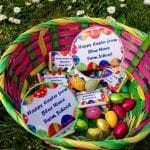 As children get older and especially for toddlers, we can put more structure in ‘Parent & Child’ classes and mix having fun and teaching the basic skills though play. We can still keep it fun with songs and toys for toddlers andintroduce them to activities which are teaching oriented like kicking on their front and back and jumping in the water for brief periods of time in each class. Structured activities are best kept brief when teaching basics to toddlers and pre-schoolers. 5) Young children love repetitions and rituals, but sometimes parents say that infant and toddler swimming classes are too repetitive. What do you think? ‘We are what we repeatedly do,’ said Aristotle. ‘Excellence then, is not an act, but a habit.’ And this is true whether we’re teaching adults or children. Besides, it is scientifically proven that infants and young children generally love repetition, rituals and doing activities that they know they can manage. The focus of the classes should be keeping the children happy and secure. So, parents should trust and respect their children’s feelings. If kids are happy with the activities and enjoy what they do, there is no need for parents to be concerned. 6) What are the reasonable expectations that a parent should have after attending one or two terms (each term being 10-12 lessons) of baby or toddler swimming classes? A child should be used to having water on his or her face without panicking or showing signs of distress. A child should be able to stay on a noodle as parents navigate them around the pool. A child should be able to get into the water from the edge of the pool or a mat into their parents’ arms. A child could be comfortable to put their face in the water voluntarily and to control their breathing. 7) How should babies and toddlers be grouped for swimming classes – by age or ability? That is a very interesting question. When I attended the World Aquatic Babies & Children Conference in 2009 in Brighton (U.K), it was remarkable to see that some swim schools had up to 17 different levels for grouping babies and toddlers. In our swim school in Oslo, our system is much simpler. For children who cannot swim independently in water (which includes a vast majority of under 3s), I don’t think there is any need to differentiate them based on their abilities. In our swim school, we have separate classes for babies and toddlers and we put, for example, all 4 to 6 -7 months old babies together in one class as newcomers. But, if a child who was going to join us at the age of 19 months with no swimming experience, we would put that child with children who are the similar age not with the newcomers. So, in my view, for children who are that young, to differentiate them, age of the child is a more appropriate than previous swimming experience. 8) Could you please give some details about the swimming programme that you oversee in Oslo? Every year over 2500 children go through our programme. We take babies from 3-4 months and our ‘Parent & Child’ classes are offered to children who are up to age 4-5 years. 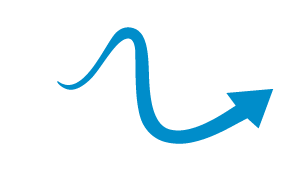 Our programme is directly linked to other swim schools where children can join after leaving us and will learn the competitive strokes. 9) Why did you write ‘Swim With Love’ and who would benefit from reading your book? I was inspired to share my years of experience teaching babies to swim and so decided to write my book . I wrote it to give a voice to babies and toddlers. An adult reader will learn about how to think about the needs of a baby and a toddler- it is about seeing the world through their eyes. I was hoping this book could provide sufficient guidance both to parents and swimming teachers. It’s about how to be mindful when one is in water with an infant or a young child. It includes my views and advises on how to make sure we work WITH babies and toddlers in water and NOT against them. 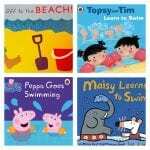 10) What differentiates your book with the other baby swimming books on the market? Firstly, ’Swim with Love’ is not just a book with lots of nice pictures of babies swimming. It has songs, poems, stories, ideas and exercises as well as descriptions for handling babies and toddlers softly and gently in water when adults are teaching children in water. Plus, my book does not include any description of how to submerge a baby. There is not even one underwater shot of a baby or toddler in my book, with good reason; I don’t believe forceful submersion teaches babies or toddlers anything valuable. 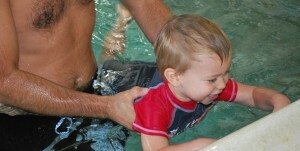 Enquire about our swimming lessons for your baby or toddler! In part 2 of this blog, Terje explains why he does not recommend forcefully submerging babies and toddlers in swimming classes. ‘Swim with Love’ is available for purchase online.